Today is National Cat Day. 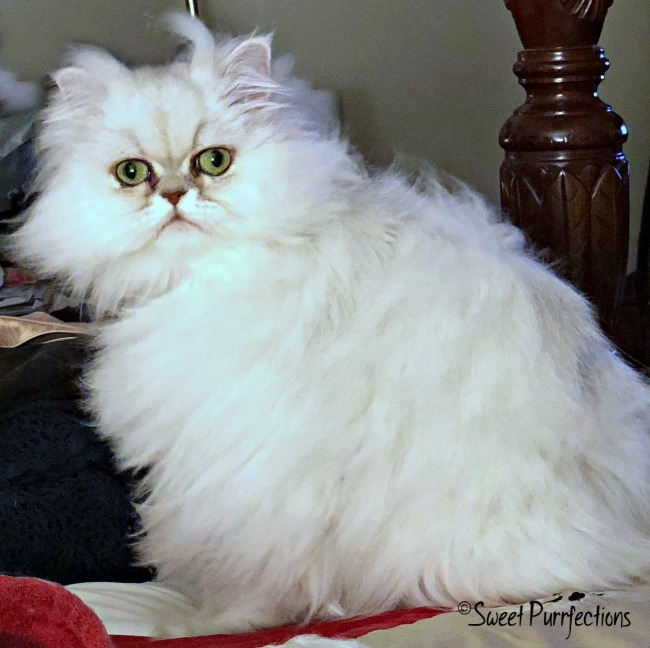 National Cat Day was founded by Colleen Paige, who is a Pet & Family Lifestyle Expert, Author, Photographer, Designer, Animal Welfare Advocate and founder of many other philanthropic holidays, including National Dog Day, National Puppy Day and National Pet Day. The organizers of National Cat Day celebrate this day by exploding the Internet every October 29. Their goal is to celebrate cats and to help them find forever homes. 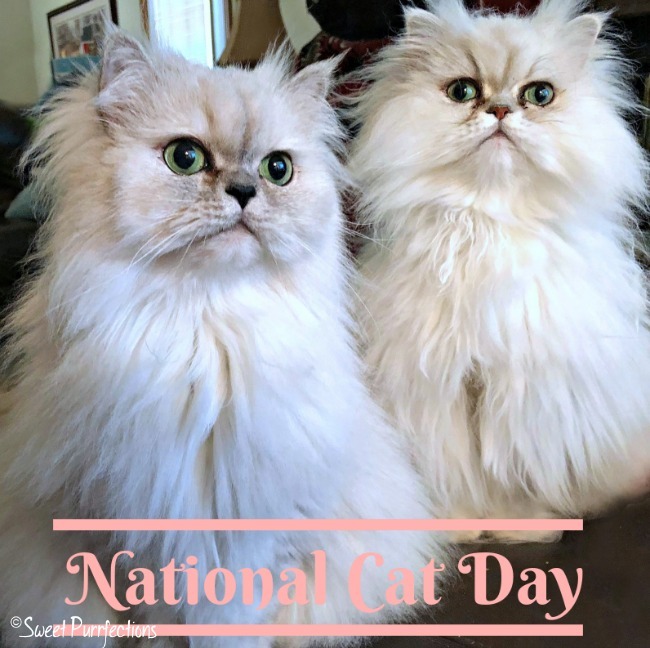 People are encouraged to spoil their fur babies a little more on National Cat Day than any other day by doing things such as buying a new toy drenched in catnip, giving them something simply delicious to eat, offering LOTS more cuddling, and making a donation to their local shelter. 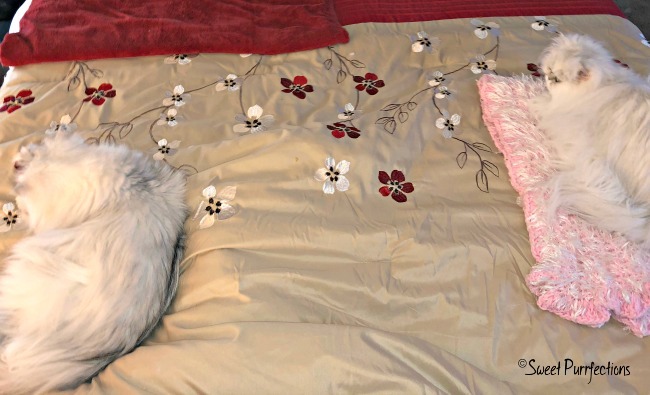 Read more about National Cat Day and find out 20 Ways to Celebrate National Cat Day. The first thing we did this morning to celebrate National Cat Day was to sleep in with Mom Paula. As we said in an earlier post this weekend, we rarely snuggle up together, but we do like to snuggle next to Mom Paula. 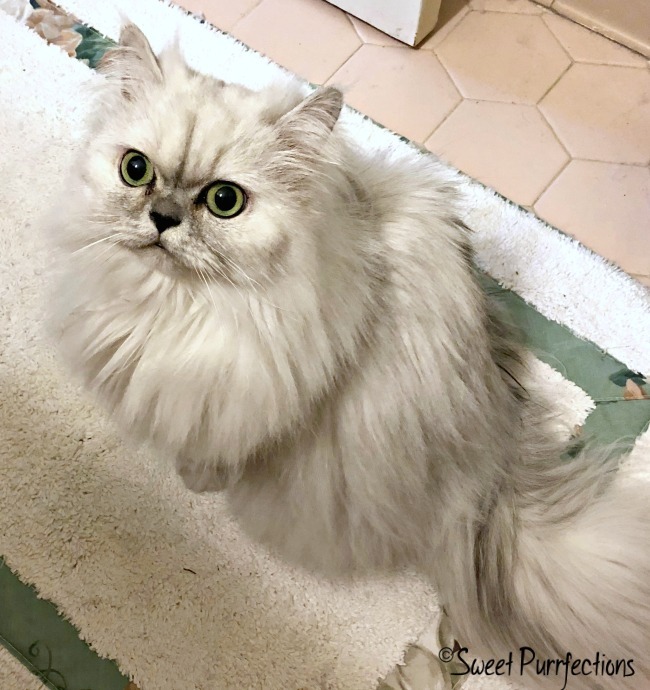 We hope everyone has a nice day with your fur children and we dream more cats will find their forever home where they will feel safe, pampered, and loved. Truffle waiting for her treats! I forgot it was National Cat Day! We think every day is cat day! Pampered and love sure works for us too! Happy National Cat Day yesterday beauties. Yay, for some extra Momma snuggles. Hoping you all had a wonderful National Cat Day! Sounds like a furbulous filled day with Mom Paula. Isn't sleeping in the best?! You two could be the faces of National Cat Day. We'll nominate you! We're glad you girls had a lovely National Cat Day. We didn't celebrate on the bl9g this year, but we got extra higs and treats.